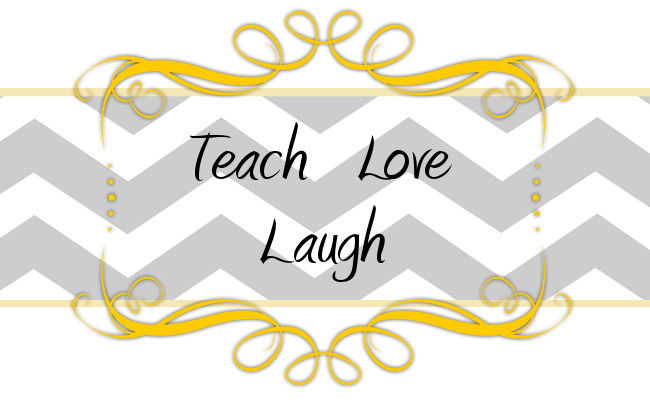 Teach Love Laugh: Another Seussy Freebie...Happy Monday! Friday afternoon with five o'clock looming (that is the time we get kicked out of the school) I was taking down all of my Valentine decor and getting greenified for March (priorities, I know! ), when I came across these darling Suess hat cut outs in my cupboard. 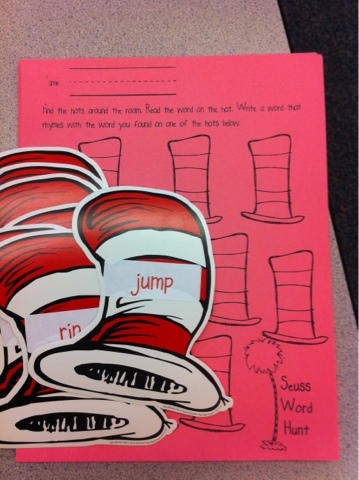 I knew at once I needed to do something with them....dun dun dun...a Dr. Seuss rhyming word hunt! Since my firsties have a thing for word hunts, this was just the ticket. Since your cupboard is probably not hiding some adorable Seuss hat cutouts, I made some for you. Print them out on card stock, laminate them, and hide them around your room. Run a copy of the recording sheet for each student and ta-da! How's that for a quick and easy word work center? Cute idea! Thank you for sharing it! I have awarded you the Liebster blog award. Come on over to my blog to check it out! Congrats on having an awesome blog! I love reading all your great ideas! Oh my goodness! Thank you so much! We totally appreciate it and we are so happy you enjoy our little blog! Thank you, Melanie! Quick Giveaway ~ Fingers Crossed!